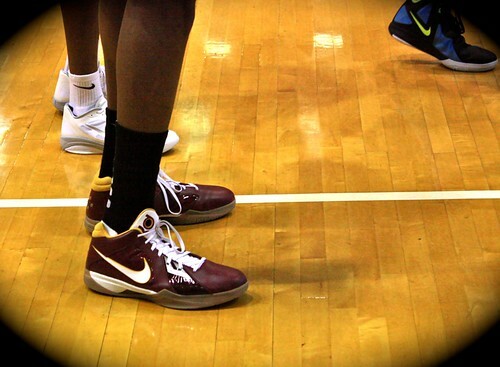 Kevin Durant sure had himself a nice night in his Redskins-colored Nikes: 44 points, an M.V.P. 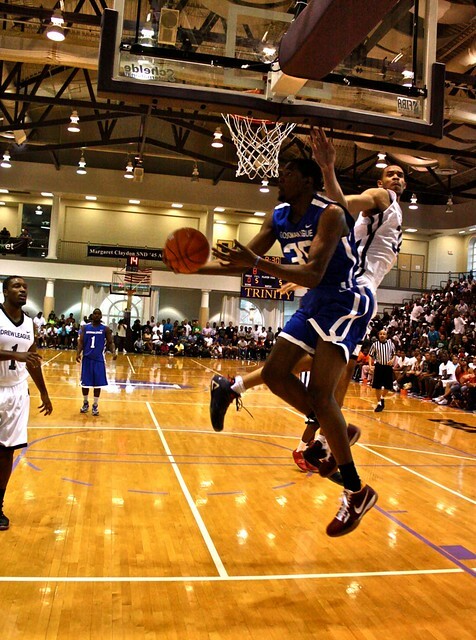 award, and a win for D.C. over L.A.. Goodman League over Drew League, at Capital Punishment. For such a hyped event, the ending was fitting — the hometown team winning by one point, 135-134, in a game that had exciting plays, expected misses, uncontrolled flow far outweighed by entertainment (thanks in part to Goodman commissioner Miles Rawls being master of ceremonies), and the comfort of it all coming down to free-throws (especially those previously missed in abundance), and a controversial blocking/charge call that went in Durant’s favor over James Harden. How ‘NBA’ of the game indeed. There were some hiccups around the event in total — trouble with the online streaming of the game, I’m told; crowds battled heat and unorganized entrance procedure (many with tickets seemingly were turned away due to oversold capacity, a refund for which organizers are claiming they will give). With such a small gym for an exhibition with nationwide fanfare, I was surprised some of the results and complaints weren’t worse. Otherwise, at all points the players and attendees were well within safe confines (and the fire code it seems). Washington is a basketball town, in spite of and alongside of it being a Redskins city, as Durant’s shoe color choice goes to communicate. Hugh “Baby Shaq” Jones, local street ball legend and hometown fan favorite next to Durant, admitted before the game that he was not a Redskins fan, to no surprise likely jibing with a random polling of D.C. faithful. “I’m sorry, I’m a Washingtonian, but I’m not a Redskins fan,” Jones said when I spoke to him before the game, the desire to know which NFL football team he was a fan of was immediately, and inconsequentially, lost. But basketball or Redskins, which is more important to the District? “For me, basketball, but if you ask anybody else, it’s the Redskins,” Jones easily concluded without any objection from my end. Nor would anyone deny the importance of basketball to Washington. There are many other great city leagues/courts across the land, Rucker Park in New York obviously tending the most fame. And there are whispers of other inter-city games, one between Rucker and Baltimore’s Melo League All-Stars, but with less star power. Word, from Baby Shaq, that the D.C. team might be trying to work out games against Baltimore and New York as well. 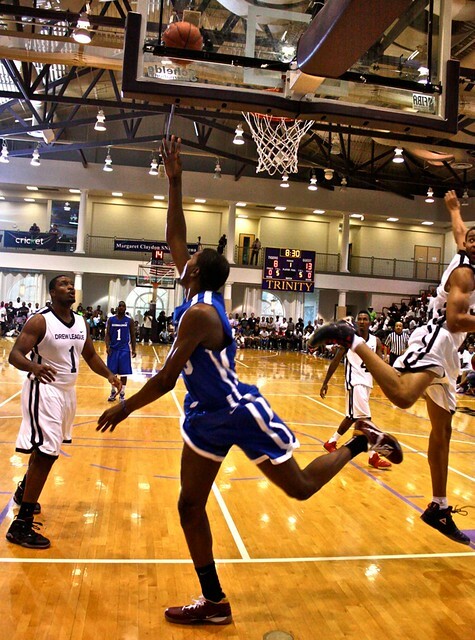 And of course, the 70-percent tentative D.C.-L.A. rematch set for September 10th on the West Coast, according to Drew League commissioner Dino Smiley, who hopes with all his pride and joy that Kobe Bryant will make an appearance for his team then. 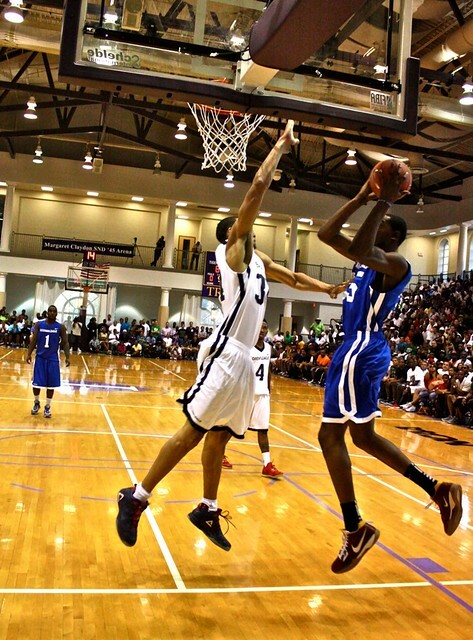 Most importantly, if the NBA lockout continues, D.C. has proven that if not first on the map, as Durant’s star power was key to organizing such an event in the first place, that the city is very high priority. As scared and prepared people are for an enduring pro basketball work stoppage, it’s not far beyond reason that tournaments of the sort between several cities could be on the horizon. And Washington, although given that it has yet to be an Olympic Games city with an abundance of sporting venues, will certainly be amongst the list of considered hosts, given a more apt arena. That in itself stamps basketball with significant, and likely already attained, relevancy in the city. Just not exactly Redskins relevancy. Positive nonetheless. I did another guest piece for ESPN Los Angeles surrounding the results of Capital Punishment, which can be found from the regular ESPN NBA page as well, and also got some interview footage with the commissioners of both leagues, etc. Click here to read. Also, check out Beckley Mason’s excellent recap on ESPN.com. Thankfully Beckley allowed be to use his Flip Cam, in lieu of my flaky-acting one, for some of the interview footage. And sure, we both ended up finishing our pieces with the same quote from Rawls, but considering it’s antagonism boosts sporting interest in the Washington-Los Angeles rematch, I hope you don’t blame either of us too much. Otherwise, I will soon follow up with additional Capital Punishment coverage of various sorts. Until then, also enjoy the three photo set that I took below — one of my favorites of Durant taking right to JaVale McGee and craftily maneuvering his way to a bucket. And yes, he did make this shot.